Well, now being Batman isn't just for Bruce Wayne. 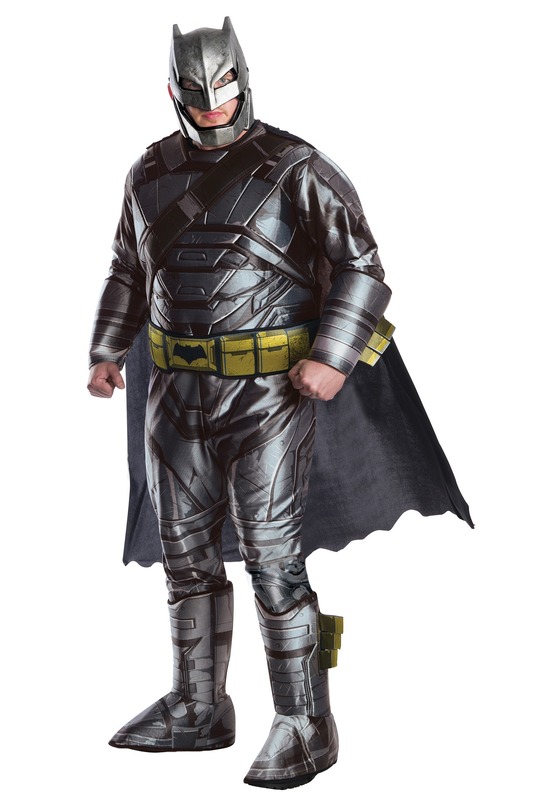 This Plus Size Dawn of Justice Batman Costume helps to recreate the look of his armored up look in the Batman v Superman movie. No longer do you have to scour internet sites looking for a sweet deal on exotic metals and high tech computer parts. The printed details might not offer the same kind of protection against attacks from Superman, but they do look rather intimidating, so we doubt any super-powered foes will even try messing with you once you have it on. And you don't need to spend tons of man-hours trying to build it from scratch, so that's a win-win situation for you.